What You Don’t Know Might Kill You and Suicide by Sandwich sound like dangerous, dire warnings. Would you believe these are articles about a food? Some nutritionists and researchers say it’s poison, contributing to nearly every human ailment, from acne to cancer. It’s become a hotly debated and trendy phenomenon, and people in my industry have very passionate opinions. What am I talking about? Gluten! 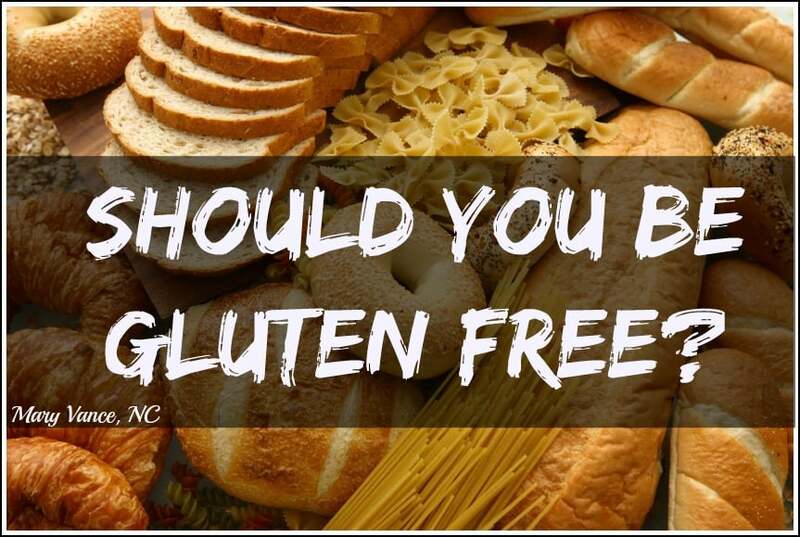 30 percent of us say we want to be gluten free, and 18 percent buy gluten free foods, a now $15 billion industry (source). It’s theorized that gluten can adversely affect nearly every tissue and body system, including the brain, skin, endocrine system, stomach, liver, blood vessels, muscles, and even the nucleus of cells. (source) If you have an autoimmune disease or inflammatory digestive disorder, you’ve likely heard gluten is your worst enemy. But is the hype real? What should you believe? Is gluten bad for everyone? Should you be gluten free? Gluten is a sticky protein found predominantly in wheat, rye, oats, spelt, kamut, and barely. It makes bread rise and gives it that lovely spongy texture. Whole grains, and especially wheat products, have been the base of our diets per recommendations from the USDA food pyramid for decades. But the gluten we’re consuming today isn’t the same protein we were eating 100 years ago, and that could be problematic. And that’s basically the tip of the iceberg. There are many ailments and even diseases that can be linked to gluten intolerance due to inflammatory properties of modern wheat. The backlash against the gluten free community from this study was significant: we were told NCGS is all in our heads and that people who think they can’t tolerate gluten are “whiners.” So why do people feel so much better when they cut it out? Avoiding gluten forces (most of) us to focus on a less processed and more biologically appropriate diet which should include vegetables–rather than bagels, sandwiches, crackers, pasta, and boxed foods–at the bottom of the food pyramid. But even those who are chowing on packaged gluten free crackers, cookies, and breads claim to feel better. Placebo effect or what? The majority of gluten we eat is delivered via wheat, and the wheat we’re eating today is a much different plant than we used to consume. It’s been hybridized to produce a much higher gluten protein content that yields a heartier plant to better grow under a multitude of conditions (source, Wheat Belly). The result is a plant protein that our bodies have a much more difficult time digesting. I often hear my clients say they didn’t have any trouble with the pasta they ate on a recent trip to Europe, yet they feel wrecked with bloating, constipation, and indigestion by the bread and pasta here in the states. Europe still uses the traditional, ancient strains of soft wheat that contains less gluten. Interestingly, genetically modified foods are banned in most of Europe, while wheat is one of the top GM crops here in the US, and we don’t yet truly know the effects of GM foods on our bodies, immune systems, and digestive tracts. So the question remains: is gluten intolerance real? Should you avoid gluten for optimal health? For as many (flawed) studies claiming NCGS doesn’t exist, there are laundry lists of studies claiming gluten does have adverse effects on certain humans. And furthermore, it’s possible to have a sensitivity to any food; why would gluten be any different? Most conventional lab testing for gluten intolerance only screens for certain gluten antibodies, so if you react to other proteins in wheat that may not have been included in the screen, you’re told you’re fine– when you may not be. Cyrex labs offers an extensive array that tests for intolerance to many different gluten and wheat proteins. Studies do show that in some individuals, gluten triggers the release of an inflammatory protein called zonulin that increases inflammation and contributes to leaky gut, which is a trigger for autoimmune disease, systemic inflammation, and food allergies. Inflammation is the root of nearly of every disease, especially cancer and heart disease, and gluten is excluded on anti-inflammatory diet plans for this reason. If you have inflammation or leaky gut, I absolutely recommend avoiding gluten. Not sure if you’re inflamed? Here’s how to tell. There’s an easy way to determine if gluten doesn’t work for you. Simply remove it from your diet for 30 days, then reintroduce it. (Detailed directions here). Did you feel better? Lighter? Better digestive function, prettier poops? Improved energy? Did you feel worse when you reintroduced it? That means isn’t doing you any favors, and you may have an intolerance. Avoid it. Did you feel better excluding gluten but no major symptoms when you reintroduced it? Probably better avoiding it. Did you feel no change at all? If you felt bad to begin with and continued to feel bad, your problem may extend beyond gluten to dairy, eggs, all grains, or even FODMAPs. OR if you swapped out all the bread and pasta you were eating for gluten free varieties, those can cause issues also. Working with a practitioner helps you determine exactly what’s going on. The bottom line is this: if you feel better avoiding gluten, don’t eat it. 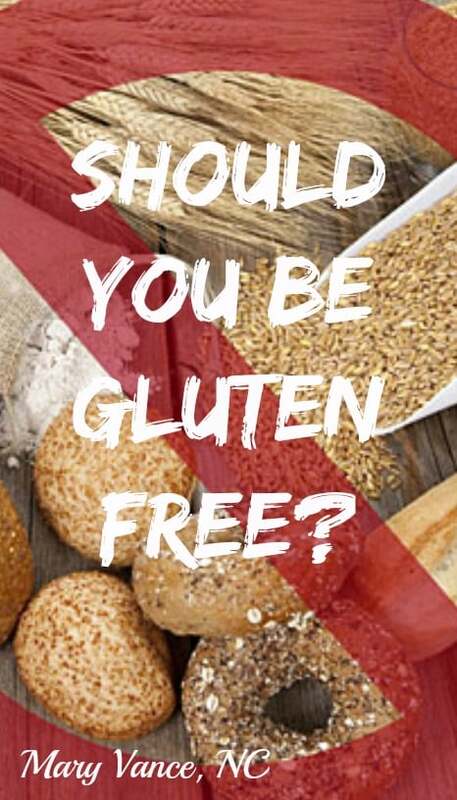 It’s actually difficult without testing to determine if you have a true sensitivity to gluten or if you’re just not digesting it well, as the symptoms are similar. We established that gluten is difficult to digest, and some of us are better equipped than others to break it down, but it is strongly linked with inflammation that can cause joint pain, IBS, leaky gut, cardiovascular disease and even Alzheimer’s. We also don’t know enough about longterm effects of GM foods and how that plays a role in digesting gluten. I have all my clients remove both gluten and dairy for 30 days to see if they feel better. This also forces one to focus on more vegetables, which should make up the bulk of your diet. Going gluten free DOES NOT mean swapping out all your gluten-filled goodies for gluten free options. I should repeat that a thousand times. These products are often high in sugar and processed grains that are sometimes worse than the original. There are many alternatives to pastas and breads that are fat more nourishing: spiralized veggie noodles, shiritaki noodles, and coconut wraps, for example. Try coconut flour, cassava flour, and almond flour for baking. If you’re fatigued, overweight, inflamed, irritable, depressed (depression has roots in inflammation, and there is a very clear connection between brain and gut health), or anxious, going gluten free could help you, intolerance or not. If you have any chronic digestive complaint or have been diagnosed with IBS, going gluten free can calm inflammation and irritation in the gut that may be exacerbating your symptoms. I’ve been gluten free for nearly 10 years, and although I don’t have an intolerance to gluten, I feel so much better when I avoid it. If you generally feel great, you’re at your ideal weight, you digest well, and you’ve tried the elimination diet with no obvious adverse reactions from gluten, you’re probably fine eating it. I still don’t recommend eating it daily, however. You’ll get far more high quality, healing nutrients by focusing daily on other sources, like legumes and vegetables. But you’re probably OK enjoying your pasta or bread a few times a month. Side note: ALWAYS choose non GMO wheat products, and go for sprouted and least processed varieties. The bottom line, however, is we just don’t know how modern, hybridized wheat and gluten affect us in terms of wear and tear on the gut. If you have autoimmune disease or a history of inflammatory diseases in your family, avoiding gluten may slash your disease risk. My philosophy is infuse the body with as many healing foods as possible while reducing potential allergens or triggers. As long as you’re getting a diverse array of nutrients from plants, seeds, legumes, proteins, and gluten free grains like buckwheat and rice (if you choose to include those in your diet), there’s zero harm avoiding it, and you could even boost your resistance against disease and nagging pain symptoms. I’d like to hear from you. Do you avoid gluten? Why or why not? Please comment below! Yes! I feel so much better. More energy. Clearer Mind. Less illness. Also don’t do refined sugar. Thank you for the article. I’m dealing with enough other issues that removing gluten the first time around didn’t have any noticeable effects for me. It’s really stressful to go gluten free because it means so much of my food has to be bought and made at home from scratch, and I just don’t have the time and energy to do that every day. But even though I notice that stressful times and gluten binges tend to come together, I am pretty sure that the gluten irritates my lifelong bacne which only every cleared up when I was consistently gluten free for several months on end. So, it’s nice…I just wish it wasn’t so hard to do. I think there’s nothing wrong with eating gluten, except for celiacs. Just eat in moderation even if you’re not a celiac. Great post!